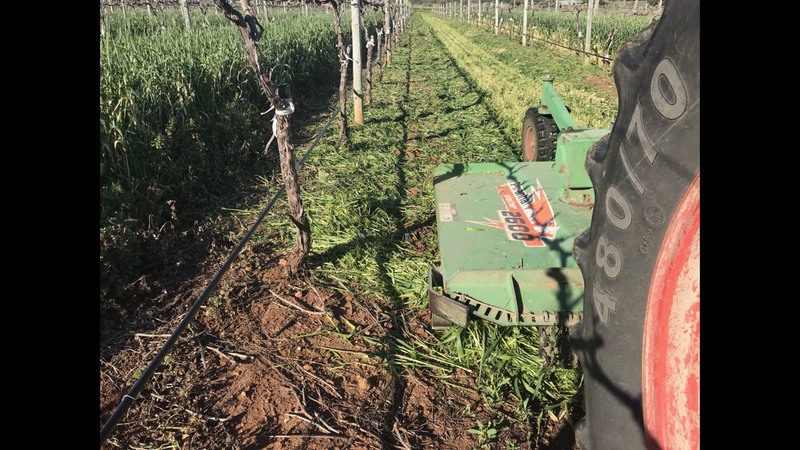 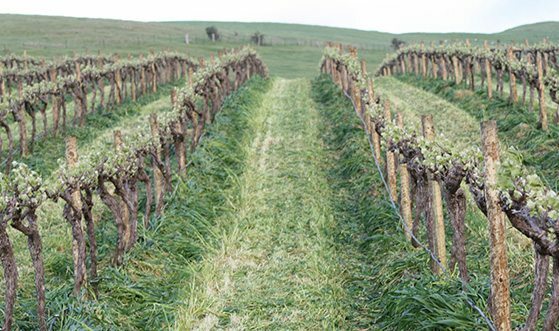 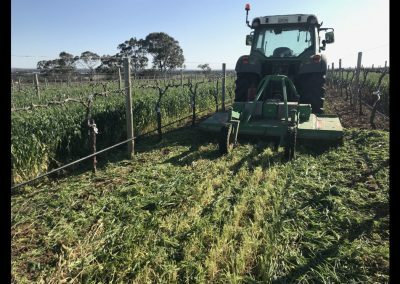 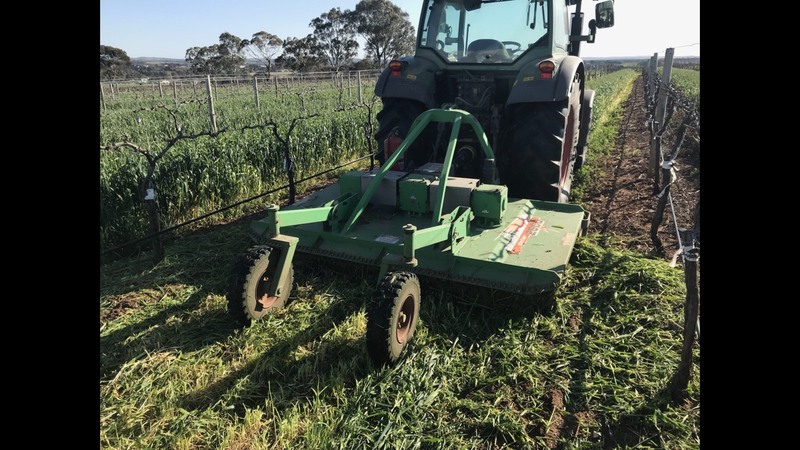 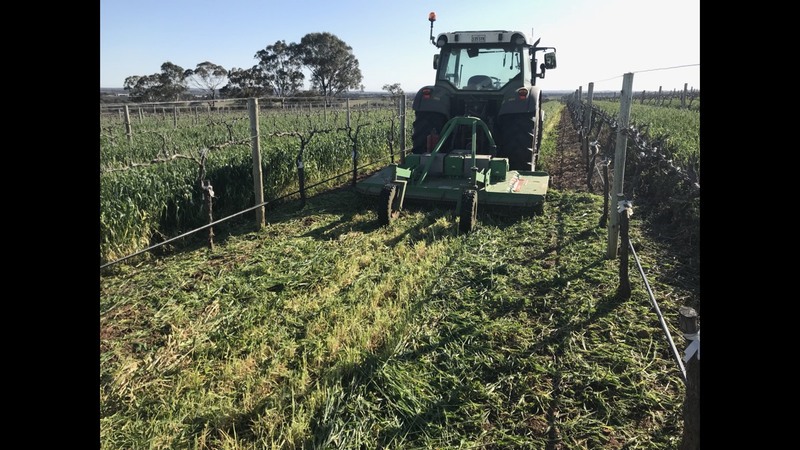 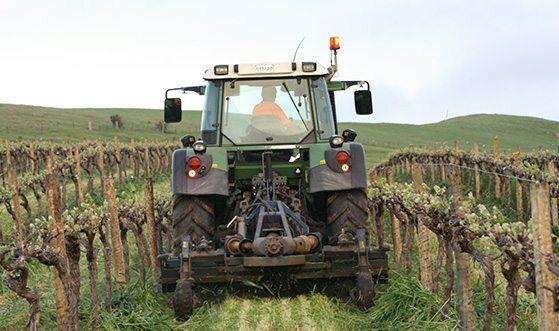 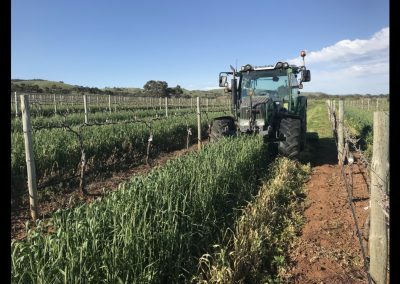 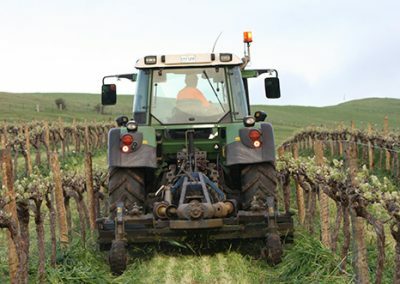 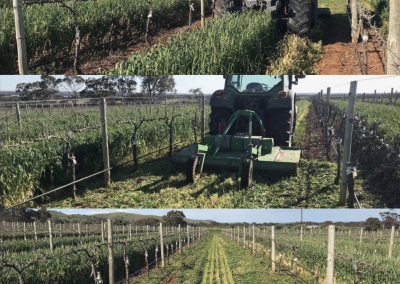 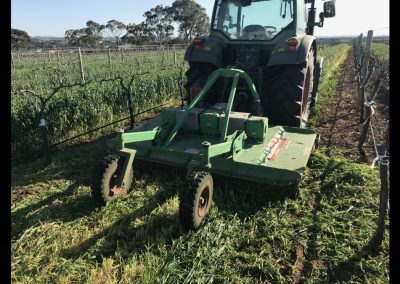 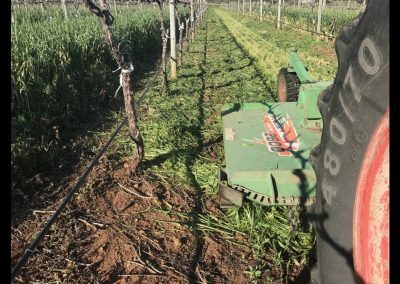 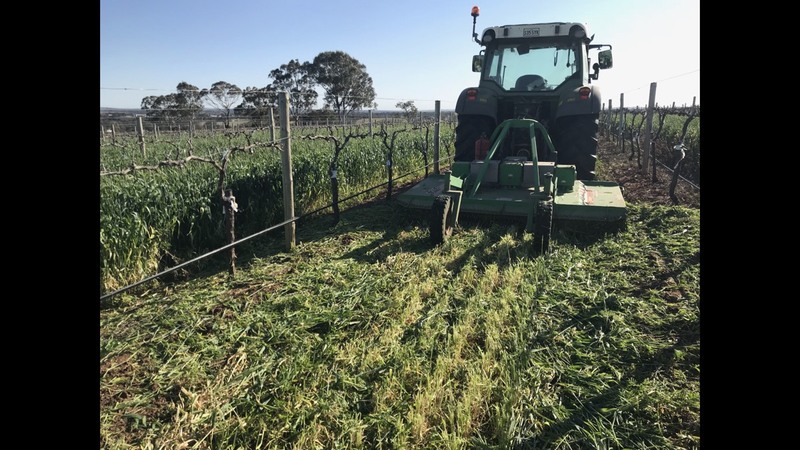 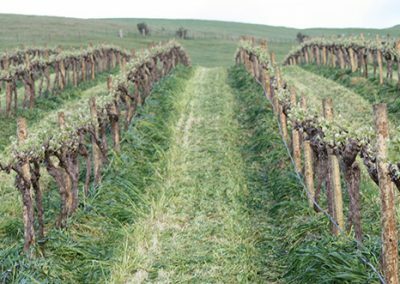 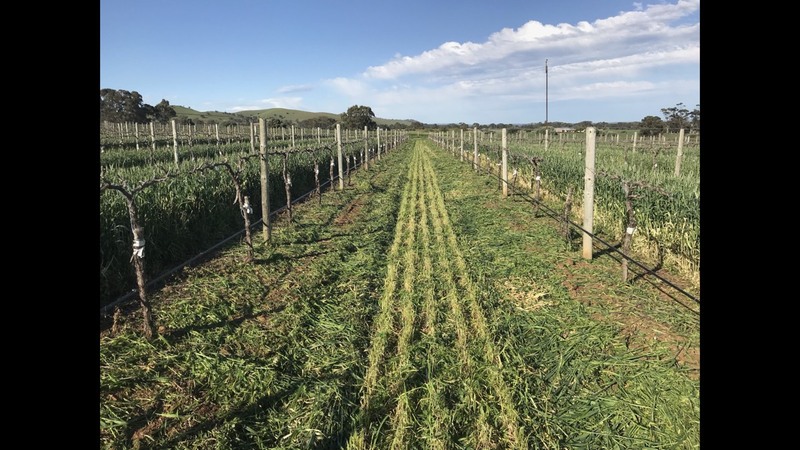 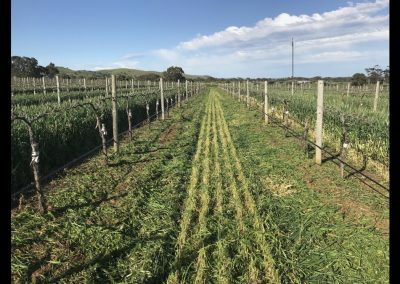 We have the mowing option to either side throw the cover crop undervine as a mulch or slash and leave the cover crop in the mid-row. 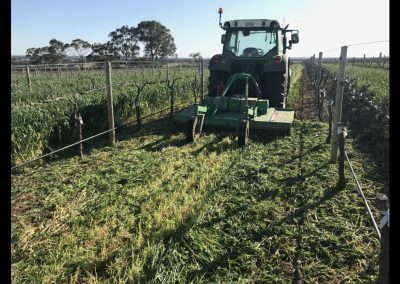 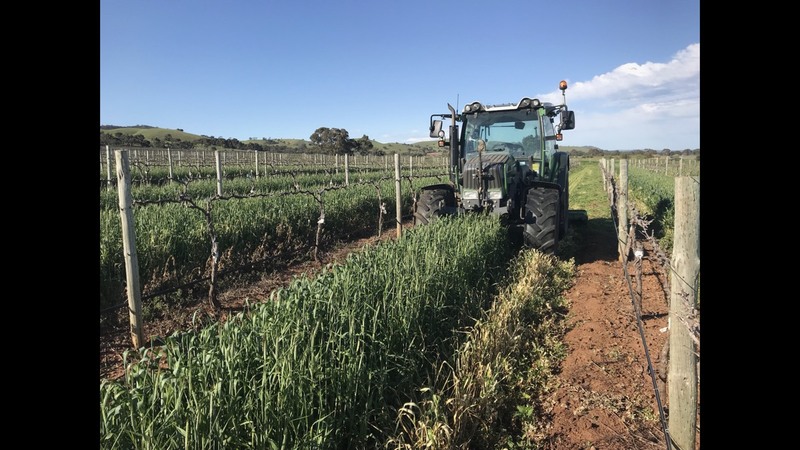 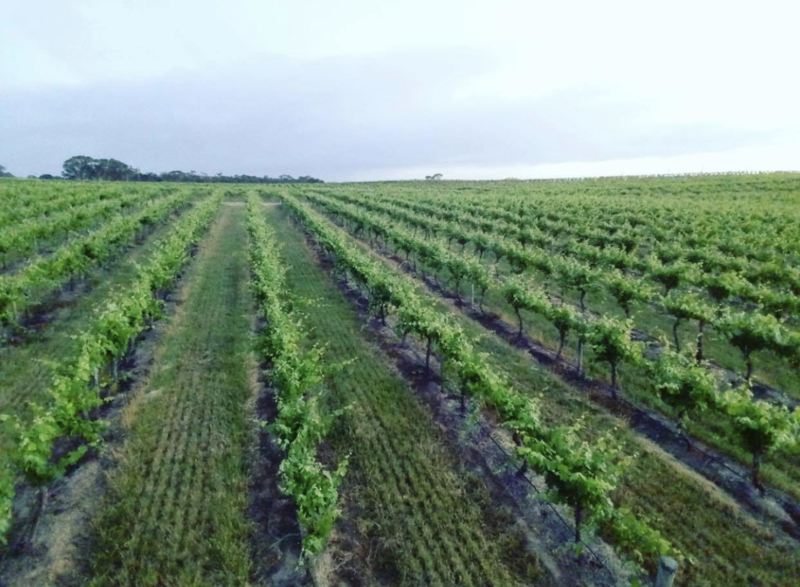 Slashing the cover crop puts important organic matter back into the vineyard, further improving soil structure. 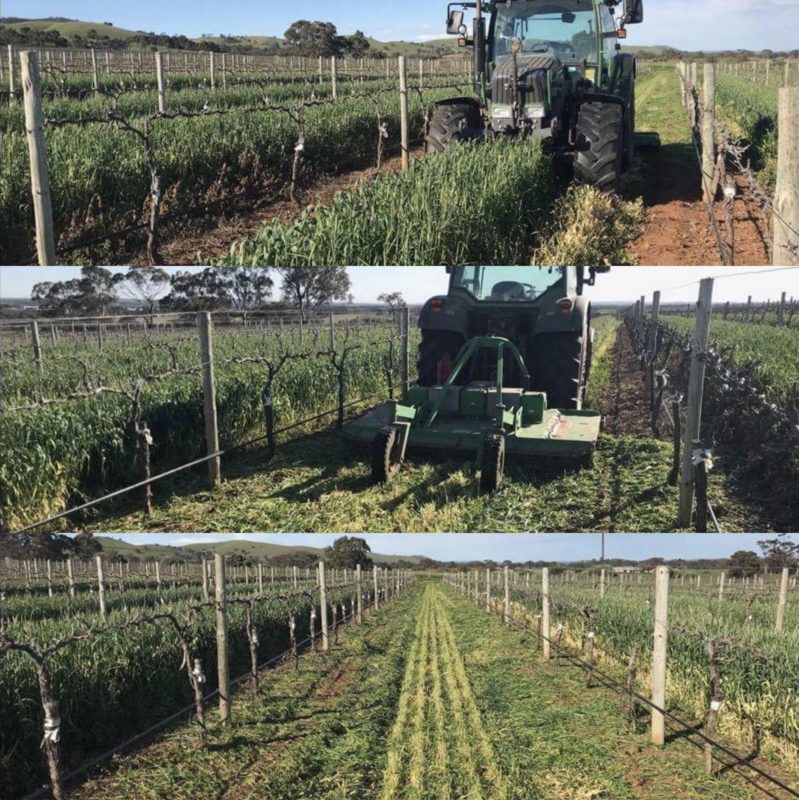 Having the mid-row slashed down prior to budburst is vital to reduce the risk of frost.